My fellow Harper Voyager Impulse authors and I are getting into the spirit of Valentine’s Day with something a little different. We’ve created dating profiles for the characters in our books! But wait, there’s more! You, the reader, get to suggest your favorite match up. Oh, but the real fun is that it’s across all of our books! Think Brendan would be a perfect match for a recent superhero girl who can bench press compact car? Now is your chance to let your voice be heard! But wait, there’s still more! I promised that if I won the Qwillery best debut author cover of 2014, I’d give away three copies of The Stolen. Well, as it happens I did win. So if you post in the comments section of this thread, it will count as an entry into the giveaway. Don’t live in the US? No problem, as promised, this giveaway is open to anyone, anywhere! So, what do you do? Simple, read through the dating profiles below, then check out the profiles on the sites listed below and then come back with your match up. Sure, it’s a lot of clicking, but we’re talking about a signed copy of The Stolen! Also, several of my colleagues are having giveaways as well! Think of all the stuff you could win! And really, isn’t that what Valentine’s Day is all about? *Please note that due to a ridiculous aversion to modern technology, this is being entered by Dante. And now I’m being told his aversion isn’t ridiculous. Anachronistic tendencies are adorable. And now I have to tell him what Anachronistic means. You wouldn’t believe it if you knew. Over 18 should be enough for now. A nice pint, good music, and a warm fire. Or turning a pack of oíche into clouds of twinkling lights. What is your favorite book/movie/band? He doesn’t do too much reading. In fact, before his interjections at the beginning I wasn’t sure he could read. Fionn McCool. Really? No, he’s sticking with that. A warm fire, good whiskey, and those who mean the most to you close by. Wow, I had no idea he could be so sentimental. If you had friends over for dinner, what would you cook? When he was eight years old, a Seanchaí (itinerant storyteller) came to his village. This storyteller also played the guitar, and taught Brendan how to play. Hey, I didn’t even know that! Have you ever been in a fight? or prison? Let’s just say he’s been in a fight or two and leave it at that. If you won the lottery, which 2 charities would you give to? They are precious joys to those lucky enough to have them. A quiet home with some land and a view of rolling green hills. And I’d imagine a pub close by. And he just kicked my chair. What is your perfect date night/day? Anything that doesn’t involve a plot by dark fae. Okay, he insists I put “Himself” but I’m doing it under protest. They were members of the Fianna as well. Ha! You REALLY wouldn’t believe me. Finding an outcast Fian warrior and helping him find his place in the world. My Mustang. I love my car. There are far too many books to list (I’ve had a lot of time to read in my lifetime) and I couldn’t possibly narrow the list down. Much the same for movies and bands. So how about this. My favorite authors include Dickens, Tolstoy, and this new author named O’Connell. I recently saw The Imitation Game and found it powerful and a reasonable portrayal of Alan Turing. Just Brendan. And he just kicked my chair again. Her name was Aeliana, and she was stunning beyond description. You’ve seen her, though you wouldn’t know her name. She was a popular inspiration for a number of sculptures. I don’t really celebrate holidays, but in terms of time off, a perfect cup of tea and an excellent book. Depending on my friends, but probably a nice salad of mixed greens, with nuts and dried fruit, dressed with a homemade honey vinaigrette. Well, that was a VERY long time ago. Though the first summer sunrise over the ocean I saw, and it’s an image that I still carry. Perhaps a fight or two, but never prison. Though I have been taken prisoner on a few occasions. Make-a-Wish and Native American College Fund. Fascinating and the most honest creatures on the earth. My penthouse apartment. I’ve had plenty of time to find my ideal home and create it. A light dinner, a brisk walk through the heart of the city to a performance at a small theater, then dancing till dawn. My father was a poet and my mother was…well, very special. I think I remember fun, vaguely. Seriously, there isn’t anything much more fun than reading to my daughter and seeing her smiling at me as I do the voices. My daughter. Beyond that, a cut glass barrette given to me by my grandmother. Ireland, by Frank Delany. Hands down, Love Actually is my all-time favorite movie. For band, I’d probably say Gaelic Storm. Oh, I’m not telling you that! He might see this! A tree with lots of presents and watching Fiona’s delight as she opens them. I’m strictly opposed to poisoning my friends. Sitting on my mother’s lap, eyes closed, listening to my father singing. Mine is a perfect angel, yours is probably an unruly hellspawn. Any home that has love. And Timothy Olyphant wouldn’t hurt. Staying up past 9pm. Or going to bed early…with Tim Olyphant. My mother was a librarian, and my father was a musician. Psychiatrist. Despite common misconception, we don’t “head shrink,” that’s really what psychologists do. I work with neurological disorders: schizophrenia, dissociative disorders, and the like. I also do keep my medical license current so I’m also a General Practioner (MD). Graduating medical school is very high on my list, but learning to use magic is right up there. My books, and my friends. Okay, friend. Hard to pin down a book, I love so many. I’m a sucker for comic movies, and I’d say The Guardians of the Galaxy is my favorite. I don’t have a favorite band, but Tom Waits is my favorite musician. I’d like a cat, but I’m allergic. Well, I’d like to think of myself as an Osprey, but others would probably say a mouse. Um, let’s just skip this question. Fiona’s birthday, seeing her brilliant smile as she eats cake and opens presents. Well, I make a fabulous Chicken Kiev, but my lasagna is pretty good too. Graduating high school. Please, no Doogie Howser jokes. Never been to prison. I don’t know as what I do in a fight qualifies as participating. Saint Jude’s and Make-a-Wish, and also Toys for Tots. I love children, though admittedly my experience is limited. The one I have is pretty amazing. Spiders. Yeah, go ahead and laugh. My father is a computer security specialist, and my mother is a lawyer. 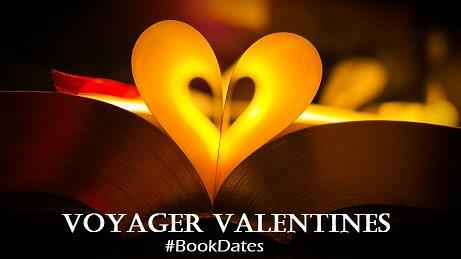 This entry was posted in Misc and tagged Book Dates, Giveaway, Harper Voyager Impulse, Writing by bishopoconnell. Bookmark the permalink. I suggest Brendan with Gwendolyn from Jack Heckel’s blog. They are both older than they look and have sadness in their past, so they might find something in common. Being kept in isolation in a tower, even Gwendolyn admits she was going mad. Edward would be able to help deal with her issues from a scientific standpoint. If that doesn’t work, they both seem to be able to do magic. Who knows what magic can do? Edward’s mother is a lawyer. Who knows what succession shenanigans happened while the princess was stuck in the tower? The princess might need his mother’s help. An easy excuse to meet the parents. Okay and the last point is, the princess seems a bit desperate and Edward himself if probably looking to settle down. That is brilliant! Haha I love it!